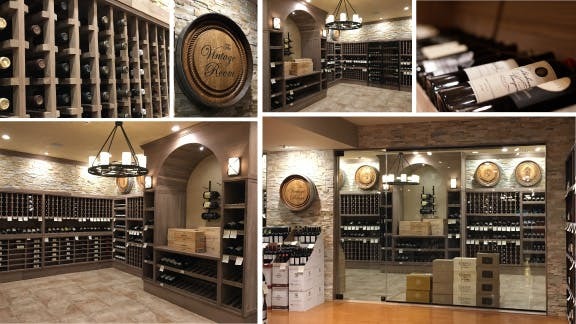 Already recognized for the warm and inviting shopping experience we provide to our in-store customers, we are excited to announce the opening of our new Vintage Room. It’s beautiful and affords you the perfect environment to browse through our very finest offerings. Open and inviting, our glass enclosed Vintage Room is accented with wood and earth-tone stonework whose warmth belies the perfect cellar temperature that ensures that these viniferous treasures will be properly looked after until you decide to take them home. So, be sure to seek it out and browse through it the next time you stop by. *Wines listed below are kept in The Vintage Room at a constant 59 degrees.